There are several one and two-bedroom apartments available at Surf & Sand. 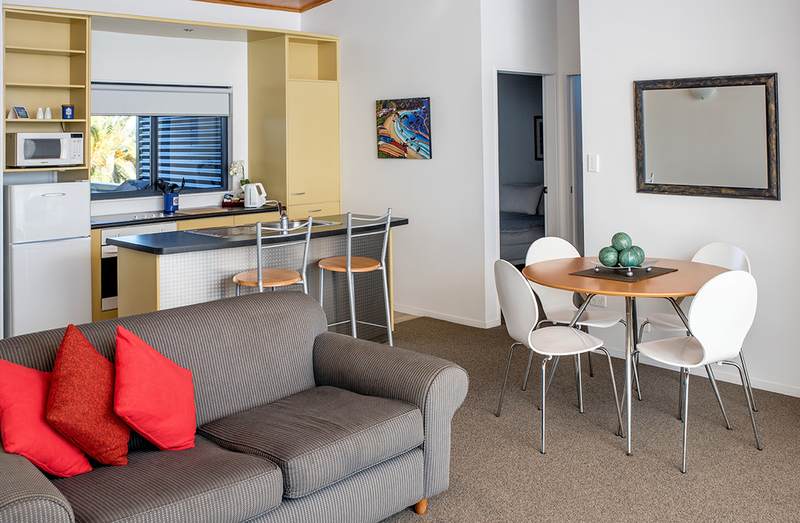 These apartments sleep up to eight people, offering you luxury and comfort. There are private decks and balconies for you to enjoy, offering spectacular harbour and ocean views. All the apartments offer magnificent views of the sea, White Island and Whale Island.